There are various options for trekking in the Everest region. Some of them are Everest Base Camp trek, Gokyo Valley trek, Everest Panorama Trek etc. But the most thrilling and adventurous of all the treks there is the Everest High Pass trekking. 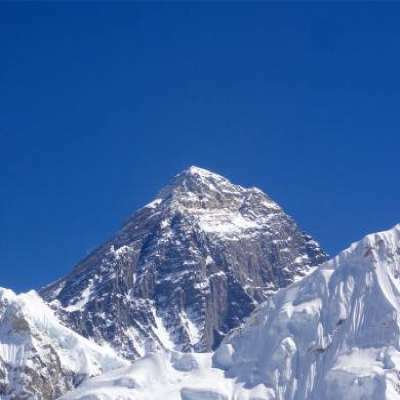 Everest High Passes trek takes you to 3 mountain passes of the Everest region. These are Renjo La Pass (5340 m), Chola Pass (5420 m) and Kongma La Pass (5535 m). All of these mountain passes are wonderful vantage points for viewing the Himalayas of the Everest region. Trekking to these mountain passes also takes you to the three beautiful valleys in this region. They are Gokyo Valley, Thame Valley, and Chhukung Valley. All of these valleys are draped with majestic mountains of this region. Another wonderful attraction of the Everest High Passes trekking is that you get to go to places like Everest Base Camp and Kala Patthar. 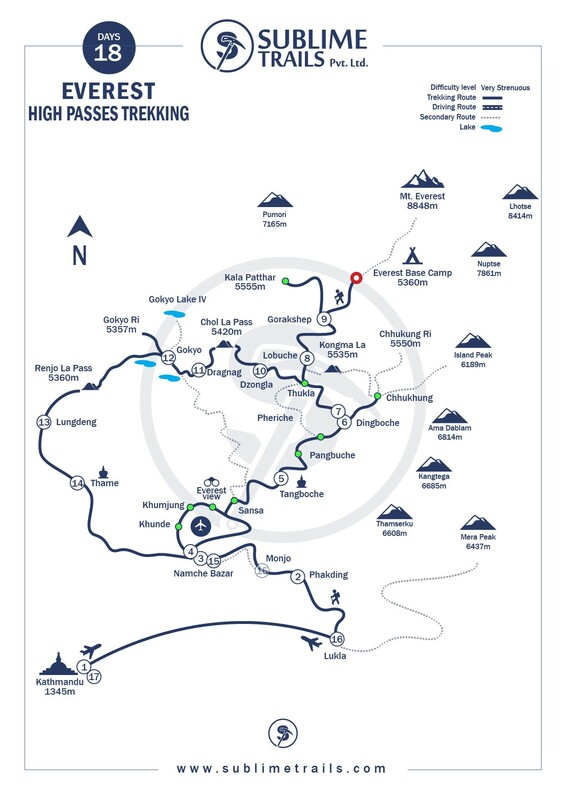 So the High Passes trekking offers you many more places in the Everest region than the Everest Base Camp trek. The three passes trek is also the most difficult trek in the Everest region This trek takes you to amazing vantage points. So you will need very good preparation and training to complete this trek. The three high passes trek in the Everest region is also cost-effective. Most of the places that you will go to are the ones you go to in the EBC trek. Further, the trip is only around 4 days longer than the Everest Base Camp trek. So the expenses of the additional days are also not high. During your trip, you will have mesmerizing views of the sunrise and sunset as well. You will be heading out to Kala Patthar and Gokyo Ri. These are two of the most renowned places in the Everest region for viewing sunrise and sunset. 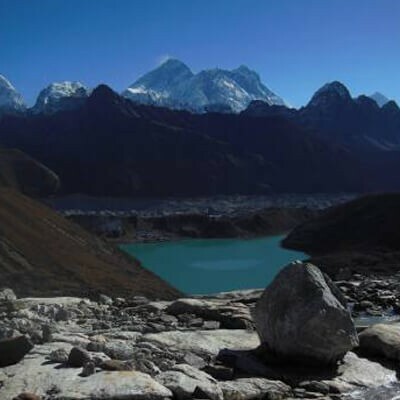 You will also trek to the beautiful Gokyo Lakes. 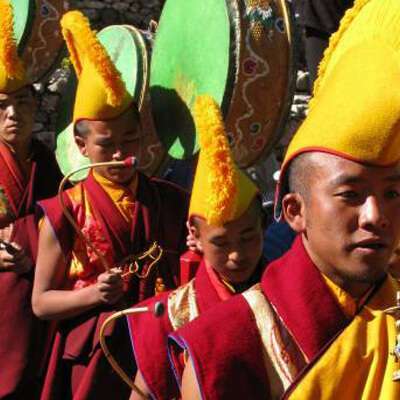 Kongma La pass is the second highest point along your trek. It is located at an altitude of 5528 meters. You will get to see beautiful mountain panorama from this pass like Lhotse (8516 m), Lhotse Shar (8,383 m ), Makalu (8463 m), Baruntse (7,220 m), Ama Dablam (6814 m) and many others. One of the most beautiful things about the Everest High Passes trek is that you don’t have to miss out on going to the Everest Base Camp. 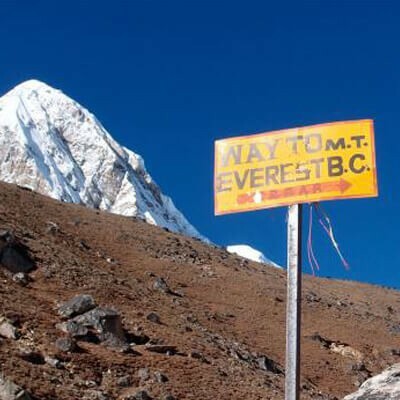 After you cross the Kongma-La Pass during your trek, you will head out to Everest Base Camp the next day to view Khumbu glacier and icefall and other mountains visible from the Base Camp. Kala Patthar, whose literal translation is “Black Rock” is another place of astounding beauty in the Everest region. In order to get to this place, you hike early in the morning from Gorak Shep. You will get sunrise views from this region that are magical. This is one of the most popular regions for the close view of the various mountains in the Everest region. Chola Pass is located at an altitude of 5420 meters. It is a summit pass that connects two villages in the Khumbu region- Dzongla and Thagnak. The trek to Cho-La pass is quite slippery. You might have to use crampons to get to this mountain pass. There are six lakes in Gokyo. All of these lakes are collectively known as Gokyo Lakes. These lakes are located at an altitude of 4700m - 5000 m. The views of the Himalayas from these lakes are beautiful. These lakes also hold great religious significance for Hindus as well as Buddhists. Gokyo Ri is the peak in the Everest region that stands 5357 meters tall. It is located to the west of the biggest glacier of the Himalayas- Ngozumpa glacier. Alongside Kala Patthar, it offers some of the best sunrise and sunset views in this areas. Our office representatives will be there to receive you in Tribhuvan International Airport in Kathmandu. They will have a signboard that reads “Sublime Trails”. This way you won’t have any problems locating us. They will transfer you in a private vehicle to your respective hotel. If you don’t feel tired, you can stroll around some bazaars of this ancient city. Thamel is a very popular commercial neighbourhood where many tourists choose to spend their evenings. It is a locality with wonderful restaurants and sound ambience. Upon arrival, your guide will introduce you to your porter(s). Then, you will head out to Phakding. Phakding is a popular destination for staying a night while trekking in the Everest region. The trek is merely 3-4 hours long. The trail is fairly straight and you won’t have to ascend uphill. In fact, Phakding is lower in altitude than Lukla. From Namche Bazaar, you will head along the banks of Dudh Koshi river. The trail will take you through suspension bridges in this region. You are also likely to encounter many prayer flags along the way. These are emblems of respect offered to the Gods of this region. While trekking to Namche Bazaar, you will get to Monjo. Monjo is the point where your trekking permits will be checked for entry into Sagarmatha National Park. The trail from Sagarmatha National Park is mostly uphill. After walking for a total of 5-6 hours, you will reach Namche Bazaar- the Capital of Sherpas. Namche Bazaar is a dynamic town with quality restaurants, lodges, bars, and cyber cafes. It is a wonderful trading zone where you can buy any trekking gear which you feel have missed out to bring. The elevation of Namche Bazaar is 3441 meters. Without properly adjusting to such high altitude, it will be difficult to complete the trek. Therefore, you will spend one day in Namche Bazaar acclimatizing. However, you won’t spend the day idly. You will hike up to Syangboche Airport. You will also go to Hotel Everest Hotel View. It is a luxury hotel that is located at a very high altitude. Om there, you can enjoy beautiful views of the mountains in the Everest region like Everest, Cho Oyu, Ama Dablam etc. On the way back to Namche, you will also have the option of visiting Khumjung Monastery. It is believed that the skull of Yeti is present here. You can also visit Hillary School and interact with kids and people alike. You can also go to the Tourist Visitor Center in the Sagarmatha National Park. The center has rich information regarding the ascent of Everest, Sherpa Culture and plants and animals of this region. The starting phase of this day’s trek will be a gentle walk up to Phunki Thanka. From there, you will continue along the gushing waters of Dudh Koshi. The trail is mostly upwards. You will reach Tengboche eventually. In Tengboche, you will go to the biggest monastery of the Everest region named ‘Tengboche Monastery’. From the periphery of the monastery, you will get to see panoramic views of the mountains of this region like Ama Dablam, Nuptse, Lhotse, and Thamserku. From one beautiful village, you will head out to another gorgeous village this day. Your trail will firstly take a downward slope to Debuche. Along the way, you will walk through forests that are lush with trees of rhododendron, birch, and pine. From Debuche, you will cross Imja Khola and get to Pangboche. Pangboche is also an excellent point for mountain viewing. From Pangboche, the trek up to Dingboche is mostly uphill. Dingboche is a small Sherpa village. It is also the first point along the trek where you cross the 4000-meter mark. In the same way that you undertook a few acclimatization hikes in Namche, you will do the same in Dingboche. You will hike up to Chhukung. It is a small valley that lies to the left fork of Imja Khola. Chukkung lies in the southern slopes of Lhotse and Nuptse and to the northern slopes of Ama Dablam. Therefore, you will get a fantastic views of these surrounding mountains. After spending some time here, you will track back to Dingboche. On this day, you will head out for the first mountain pass of your trip. From Dingboche, you will head out to High Camp first. You will take a rest there. The High Camp has an altitude of 5100 meters. From High Camp, you will then head out to Kongma La Pass. The path to Kongma La Pass is quite narrow and slippery. There are two possible paths to Kongma La Pass. You can either take a trail over a hill that is northwest of Chhukung over the Nuptse Glacier moraines. Another trail takes you first to Bibre. Then you can carry on the trail above the Niyang Khola. After spending time at Kongma La Pass, you will then descend to lobuche. The descend is quite tough. So you need to go slow and listen to the instructions of your guide. You will head out along the lateral moraine of the Khumbu glacier. While trekking to Gorak Shep, you will also get to see the northern ridge of Mt. Everest. After a small hike uphill, you will get to Thangma Riju, from where you can see the panoramic views of the Himalayas in the Everest region. From there, you will ascend to Changri Glacier and finally reach Gorak Shep. Gorak Shep is a wonderful place for viewing the beautiful mountains of the Everest region. After some rest at Gorak Shep, you will head out along the Khumbu glacier to reach Everest Base Camp. From here, you will only get to glimpse mountains like Pumori, Khumbutse, and Nuptse. You will then descend to Gorak Shep to stay the night. You will head out early in the morning to kala Patthar. Kala Patthar is the most popular place for viewing the mountains in the Everest region. The sunrise views over the Himalayas from Kala Patthar is breathtaking. After spending quality time at kala Patthar, you will trek to Gorak Shep and have your meal. Then, you will head out to Dzongla. On your way, you will see Chola Tso lake and another lake nearby. Walking further, you will cross Chola Khola and reach Dzongla. This is going to be a challenging day hike. You will hike all the way up to Cho La Pass which has an altitude of 5340 meters. The top of the Chola Pass has some Buddhist prayer flags. It is also home to some of the best views of the Himalayas. You might also encounter some mountaineering expeditions while going to Chola Pass. After the hike to Cho La Pass, you will return to Dzongla for resting. The trail back to Dzongla is icy. So it can be tricky while getting down. Next day, you will head out to Gokyo Valley. Out of the many valley in the Everest region, there is perhaps no valley that is more popular than Gokyo. It is surrounded by the vistas of mountains. It is also home to the highest freshwater lakes in the world known as Gokyo Lakes. After spending some time here, you will trek to Gokyo Ri. Gokyo Ri is an amazing destination for the views of sunset. You will descend back to Gokyo Valley to spend your night. Your guesthouse is located on the shores of the turquoise waters of the Gokyo Lakes. This day’s trek will be a long one as it will take around 7-8 hours to complete. Therefore, you will head out early in the morning. The trek will take you to alongside a lake named Dudh Pokhari. Along the way to Renjo La pass, you will also get to see breathtaking views of the Himalayas and Rolwaling ranges. From the Renjo La pass, the views of the mountains are quite similar to that from Gokyo Ri. On your way back, you will get to view some other lakes in this region like Angladumba Tsho Lake, Relama Tsho and Renjo Lake. You will finally get to Lungdeng where you will stay overnight. After ascending all the three mountain passes of your trip, you will descend to the lower altitudes of the Everest region. From Lungedeng, you will trek downhill and reach Thame. On your way, you will have crossed Bhote Koshi river and two other suspension bridges. From Thame, you will get to view a monastery that is located on a hill to the west. After having breakfast the next day, you will head out to Namche Bazaar or Monjo. Namche takes less amount of time to get to in comparison with Monjo. If you are exhausted, you can rest at Namche. If you feel strong enough to descend further to Monjo, you can do that too. Your next stopping point from Namche Bazaar or Monjo is Lukla. This day will be very satisfying as it will give you a sense of achievement of completing the thigh passes trek. Along the way to Lukla, the beautiful scenery of nature will not leave your sight. Snow-capped mountains and lush vegetation of the Everest region will be by your side during this day’s trek as well. The next day, you will take a flight to Kathmandu from Lukla. This flight will be your last chance of the trip to be astounded by the beauty of the mountains of the Everest region. This 35 minute flight will land in Tribhuvan International Airport, Kathmandu. From the airport you will be transferred to your hotel where you can. In the evening we will provide you an excellent farewell dinner in a traditional restaurant in Kathmandu. In the restaurant, there will also be a wonderful cultural dance performed by female and male artists of Kathmandu. This day will belong to you. It is a matter of your choice what you want to do. There many excellent temples and religious places in Kathmandu that are enlisted in the UNESCO World Heritage Sites. You can go for a tour of these temples. There are also possibilities of some adventure trips like River Rafting, Bungee Jumping, Kathmandu Shopping etc. The decision what you want to do rests solely upon you. Our representatives will drop you to Tribhuvan International Airport this day for a flight back home. You also have the option of taking another trip around Nepal. You can just let us know. We will be glad to arrange another tour for you. Well experienced guide, and porter for the trekking. National park entrance fees, Tims card fee. Sleeping bag down jacket, which should be refunded to the company after trip completion. Extra night accommodation in Kathmandu because of early arrival, late departure, and early return from the mountain(due to any reason) than the scheduled itinerary. Awesome time in Nepal! awesome! Diligent and respectful. Ram was our guide and he was great, made our trip memorable and kind of amazing! Ama Dablam! !